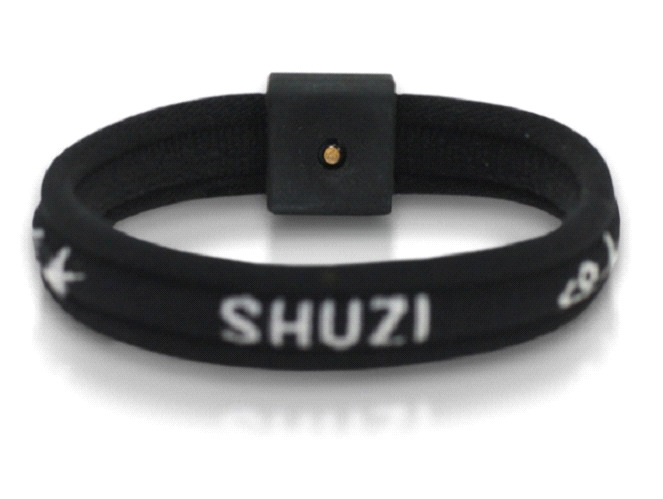 Made from nylon, the SHUZI Sports Band is perfect bracelet for the active person. SHUZI Sports Bands are water friendly and can be worn 24/7 in or out of the water, sand and snow. For those who do not want to deal with clasps and buckles, this stretch band is perfect. It easily stretches out large enough to fit over your hand. Shuzi (pronounced Shoo-zee ) utilizes a proprietary Chip from United States, which is programmed to resonate with your cells’ natural frequencies. Every Shuzi product is embedded with this Chip. It doesn’t matter which style you choose, they all have the same effect. No battery/energy source required. If you have any questions regarding this item please give us a call (800)355-2956.